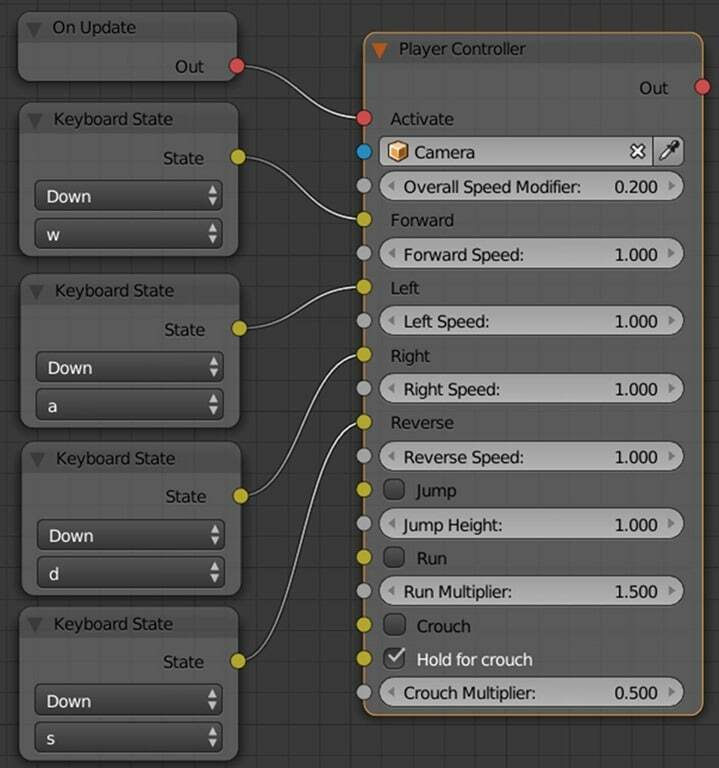 One of the very first things you need to create in any 3D game is a camera control system, or way to move a character around the scene in response to input. In this chapter we are going to look at both topics, first by looking at how you can control a camera using both logic nodes and then using Haxe script. 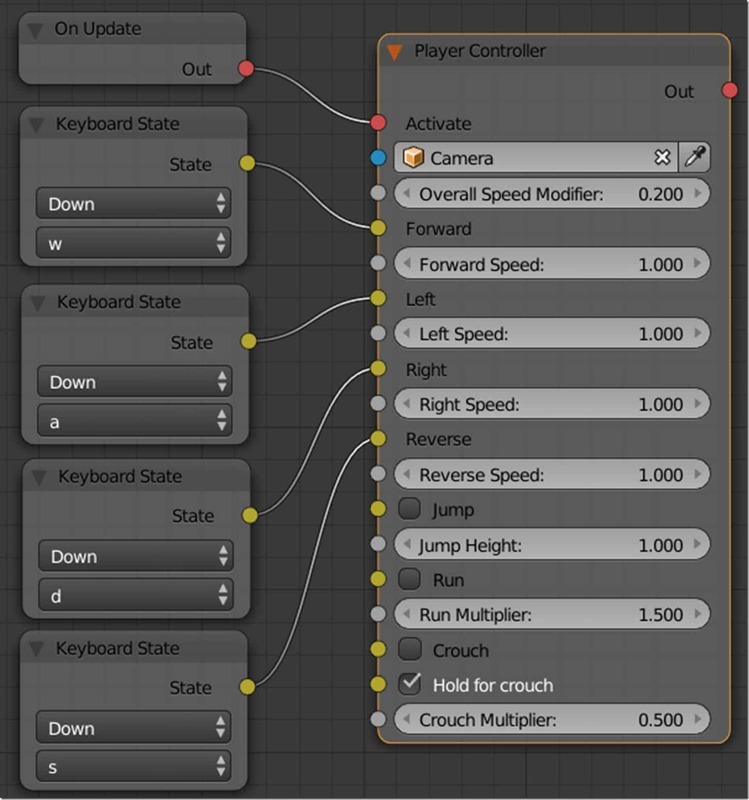 We will then look at using a preconfigured logic node to handle both our camera and character controls. 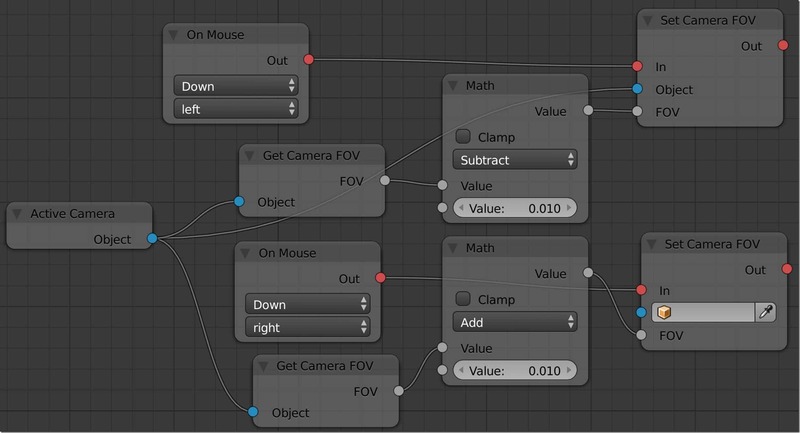 First let’s look at controlling the camera using nodes. We already explored the camera briefly in the last tutorial where we created a custom node for controlling the active camera. 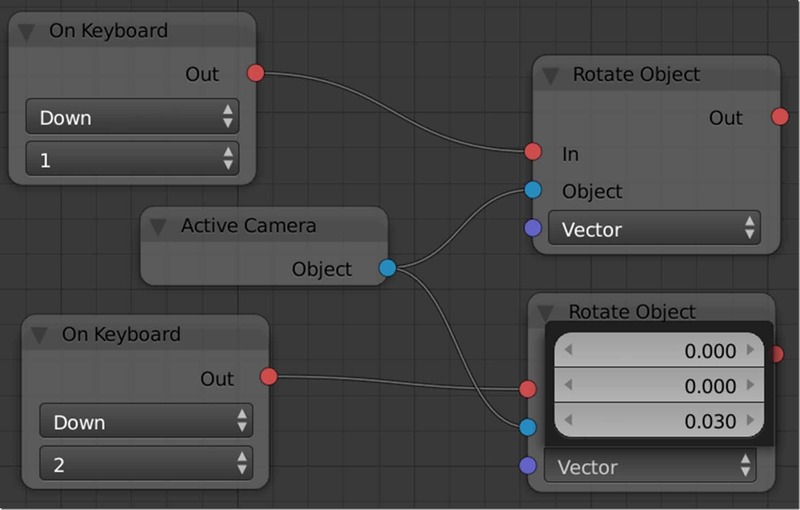 Your scene should always have at least one camera object in Blender, although Armory will now create one if none are defined. We can get a reference to the active camera using the node Active Camera. 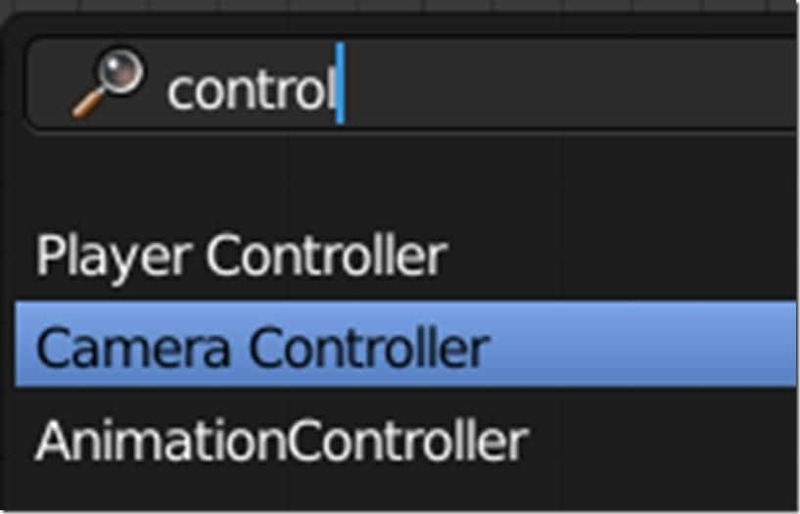 If you have more than one camera in your Blender scene, you can choose the active camera by selecting it, then in the 3D View select Cameras->Set Active Object as Camera. There are only three built-in camera nodes, Active Camera that we saw moments ago, as well as Get Camera Field of View and Set Camera Field of View. Now let’s look at panning the camera in all four directions. We will once again be using the trust Translate on Local Axis node to move our camera left and right. Repeat this sequence for the up and down arrow keys this time with Forward/Up/Right set to 1. 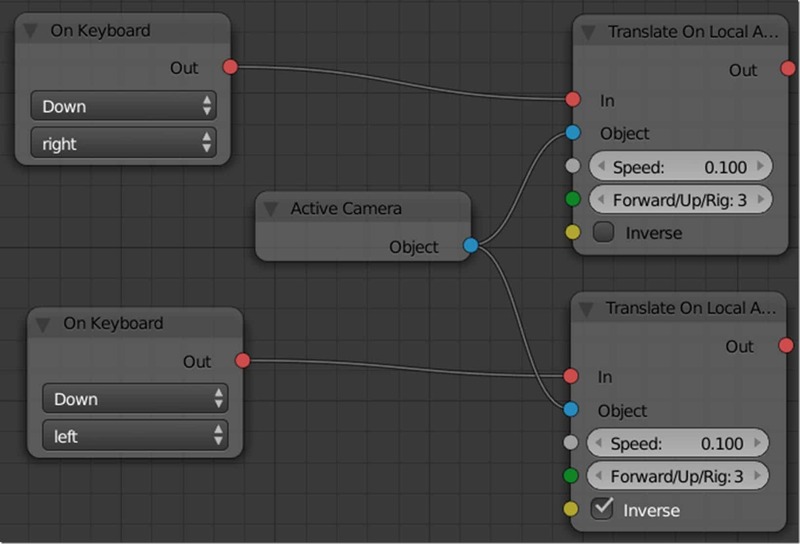 As you can see, controlling the camera is the same process of controlling just about any other node. In this example in the init function we call lock() on the mouse, this traps the mouse to the constraints of the screen. You will notice later on in the update callback, we unlock the mouse if the user hits the Escape key by calling predictably enough unlock(). Otherwise we check to see if the user holds down the left mouse button, and if they do we move the mouse along the X and Z axis relative to 1/100th of the amount the mouse was moved. Notice after we modify the location, we call buildMatrix() so the updated transformation matrix is created. The other portion of this demo is where we check to see if the mouse wheel has been scrolled, which returns a value of either -1 or 1 depending on direction. 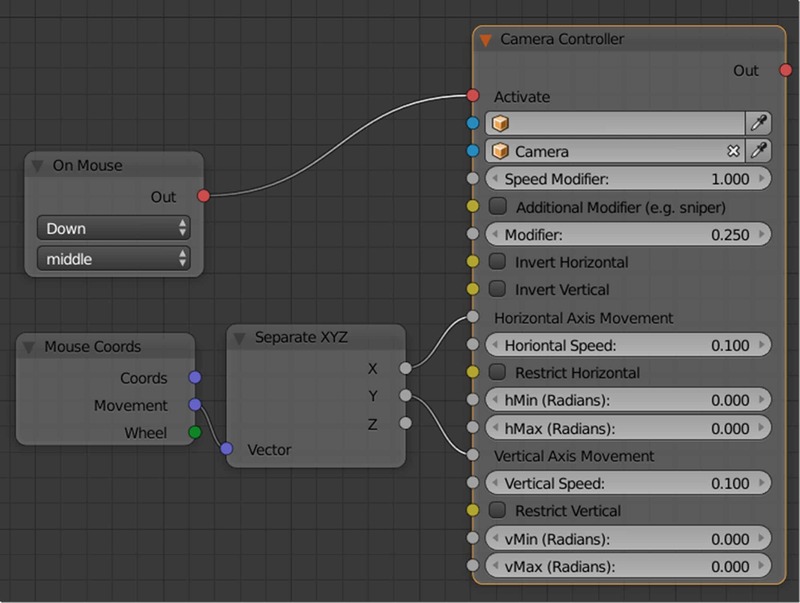 In the event the mouse wheel is moved, we zoom in or out by updating the fov(field of view). After making this change we need to rebuild the projection matrix using buildProjection(). That is the extent of the Haxe code we are going to be looking at today, but do be aware there are two built in traits FollowCamera and FirstPersonController, which are great ways to understand how to manipulate the camera using Haxe. Now let’s tie it all together (plus a bit of what we learned last chapter!) 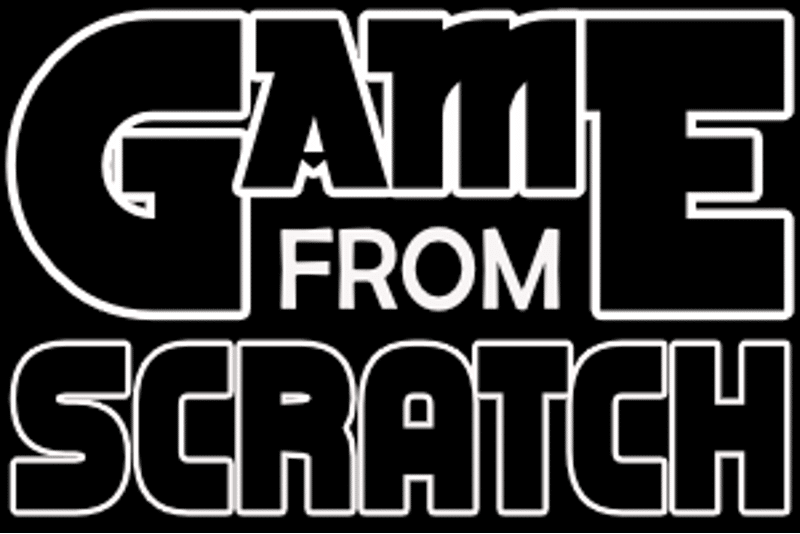 by using the community provided camera controls from the Logic Pack. Start off by creating a folder called Libraries in the directory where your scene’s .blend file exists. This next command assumes you have a git client installed and configured. If you don’t have git installed you can get a free client here.